In another sign that solar power is becoming more accessible to people of all income levels, California has started some statewide solar programs that will lower the cost for low-income households. The first program is Multifamily Affordable Solar Housing (MASH). This is designed to reduce electricity costs for low-income households in eligible buildings, and raise awareness about clean energy among property developers and building occupants. The other program is Single-Family Affordable Solar Homes (SASH), administered by nonprofit organization “Grid Alternatives.” This program will work with low-income families to promote workforce development in sustainable industries, particularly the solar industry. It will also help families offset the costs of permits and grid connectivity through rebates, and will include weatherization and energy efficiency upgrades. Both programs apply to privately owned low-income housing, and there are also programs in the works for government-owned housing projects. 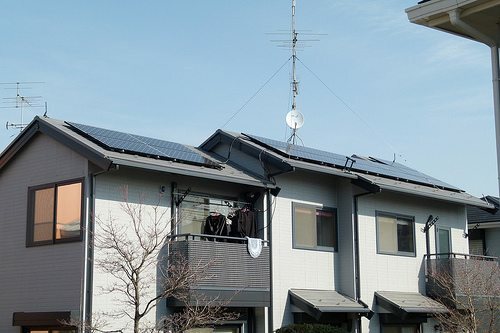 As far as households that are not in the low-income category, there are still programs in the works by the Obama Administration to help lower the cost of rooftop solar installations. The more programs that become available and the more people start taking advantage, it won’t be long until solar truly is accessible to the 99%.